23 year old developers Danielle Cassley and Jason Citron have already generated a slight buzz amongst early App Store adopters. After being presented with over 500 iTunes Store applications at once, it can be hard to figure out what is even worth taking the time to download, much less figure out what’s worth paying for. Fortunately, Danielle and Jason’s first iPhone game is generously priced as a free download and certainly worth taking the time to try. The game is cryptically titled Aurora Feint The Beginning [App Store]. A nice review and an accurate description of the game. 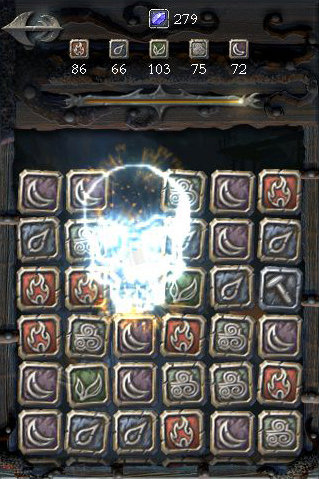 Some have compared the game to Pokemon Puzzle League where the basic gameplay is to arrange three blocks in a row, either vertical or horizontal. 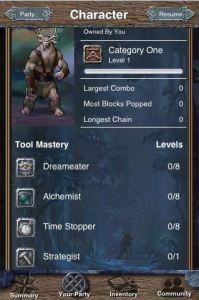 But what’s unique is the Role Playing component to the game along with level-ups which provide you with useful skills such as “Time Stopper" and “Strategist". 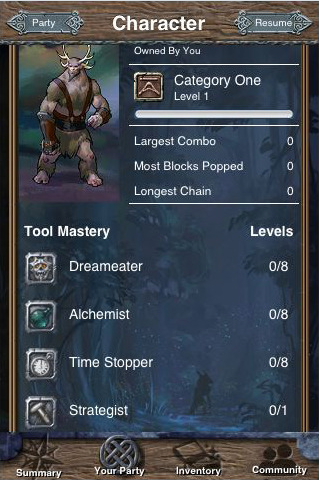 These level-ups can aid in gameplay and increase your multipliers. The graphics and music are also of impressive quality. The documentation for the game is a bit sparse, so watching the demo movie below can be quite instructive. The use of multi-touch and the accelerometer is inventive and even surprising. While tips do appear during the game to guide you to these features, I came across the use of the accelerometer by accident. In just exploring the game, I unintentionally tilted the iPhone toward its side and suddenly the pieces of the game tumbled towards gravity. Unfortunately, I did run into some stability issues with the game, but it does little to take away from this great 10 week effort. We certainly recommend you take a look at this game and hopefully we’ll see more from Danielle and Jason in the near future.